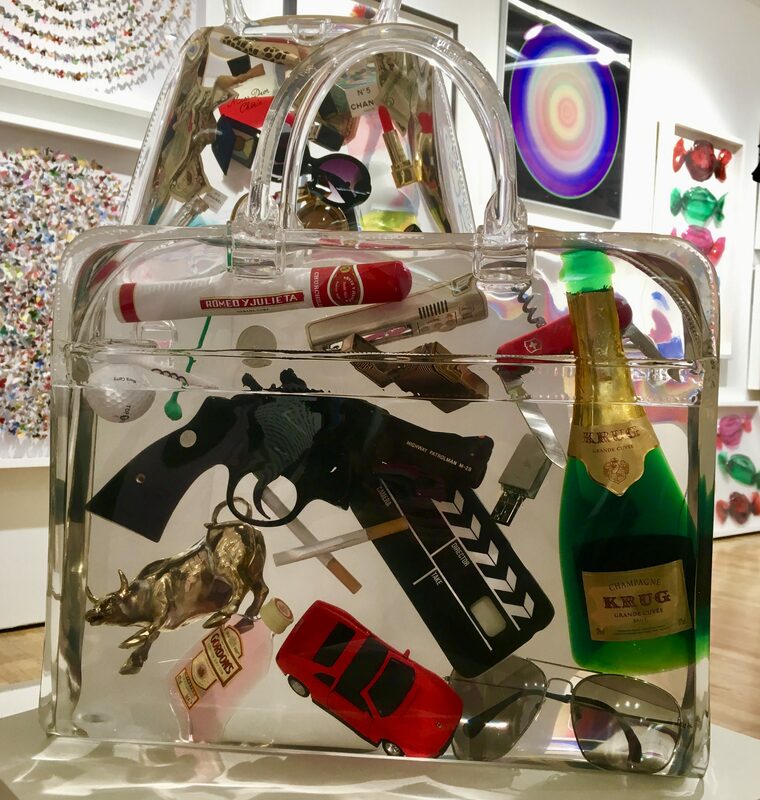 Favorite Art From The Affordable Art Fair, Fall 2018! 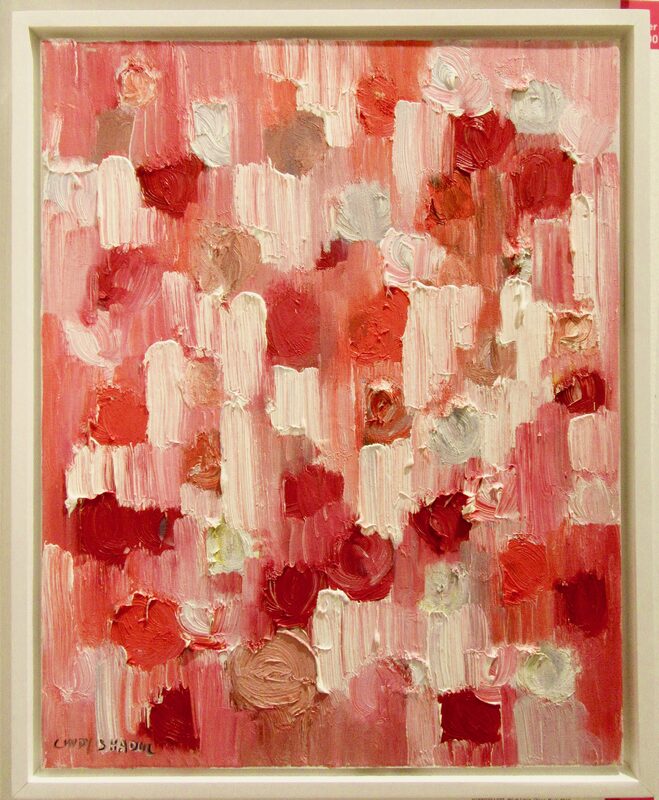 Life is better with Art in it: it’s just a fact. 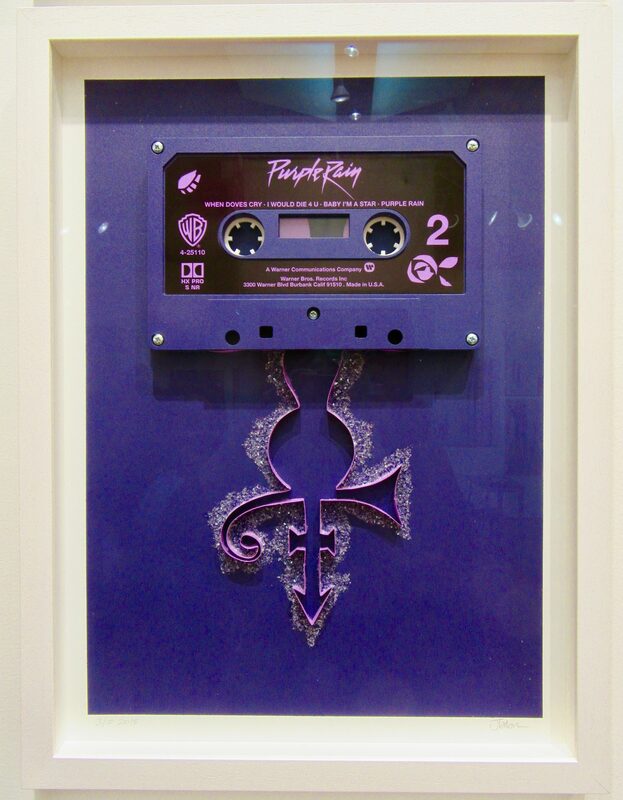 Whether you are a seasoned collector, someone looking to start a collection by investing in a single piece for your home, or an art lover who just enjoys the inspiration and joy of browsing, the Affordable Art Fair is a great place to expose yourself to (and purchase) art of almost every tangible medium. 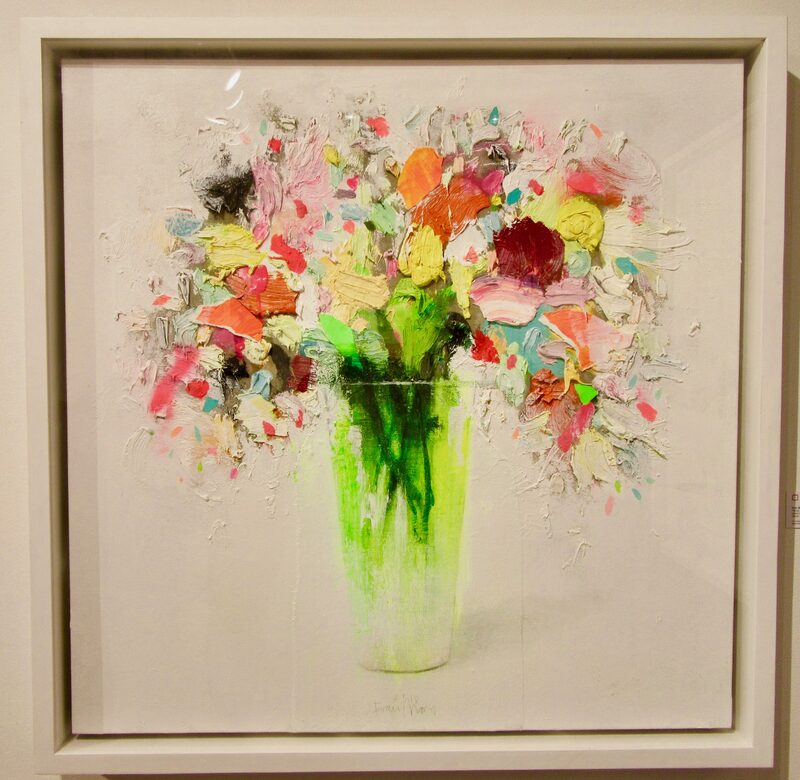 Held in a dual-floor space inside the Metropolitan Pavilion, AAFNYC gathers contemporary galleries from across the globe in the spring and fall each year for a three-day event that’s always both educational and lots of fun. This season’s fair boasted the most diverse collection of high-quality, original art that l’ve noticed for as long as I’ve been attending. Let me turn you on to some of my favorite pieces spotted at this year’s fall fair! This year’s lead booth was sponsored by the Non-Violence Art Project. 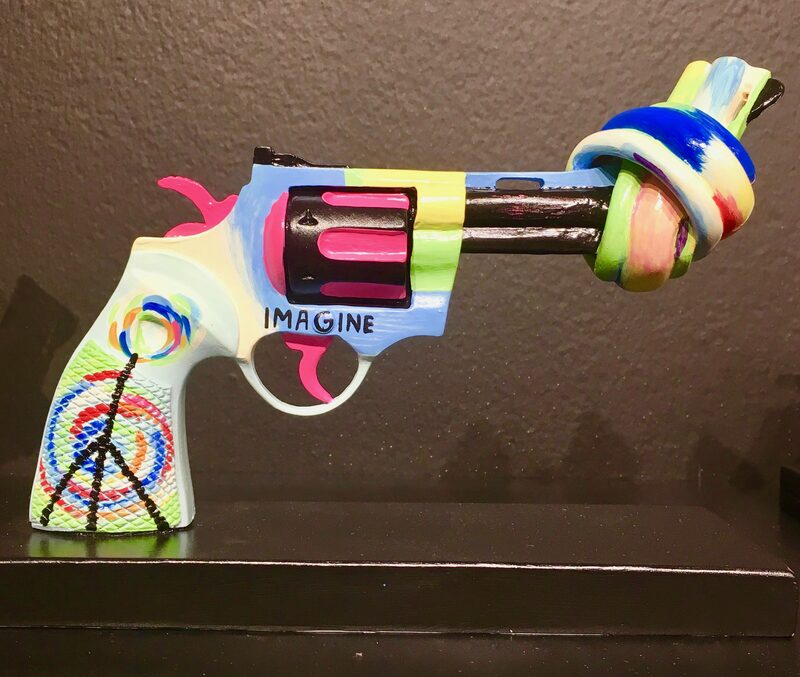 The Non-Violence Symbol, also known as the Knotted Gun, was originally created by Swedish artist Carl Fredrik Reuterswärd as a memorial tribute to John Lennon after he was shot and killed in New York City in December 1980. The Non-Violence Project Foundation is a non-profit organization promoting peace and social change through education. 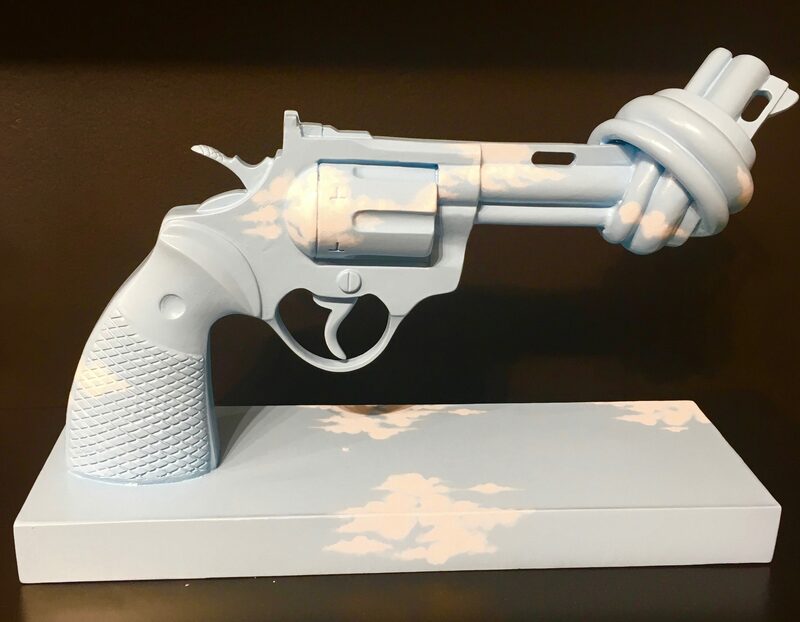 A portion of the revenue from the sales of these Limited Edition sculptures goes to the Non-Violence Project and contributes to social change and bringing increased peace to the world. 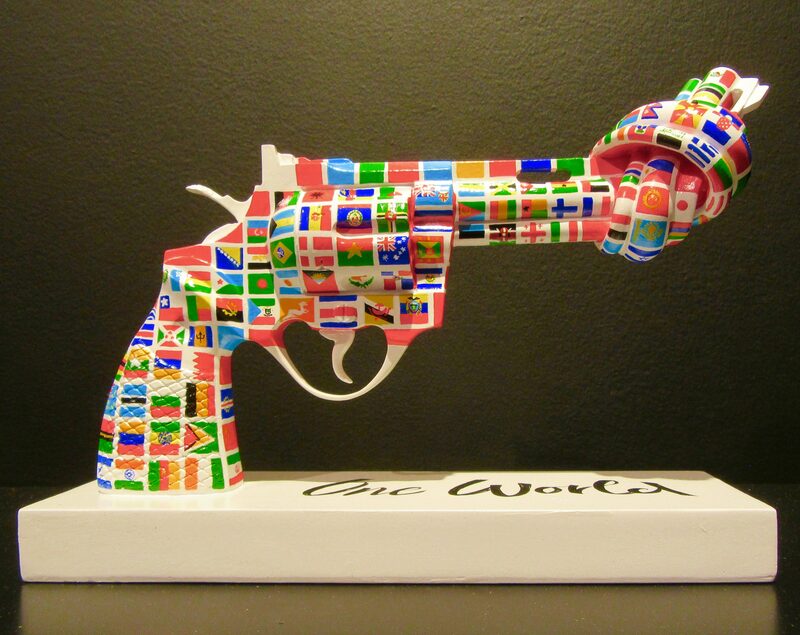 Art for Peace! 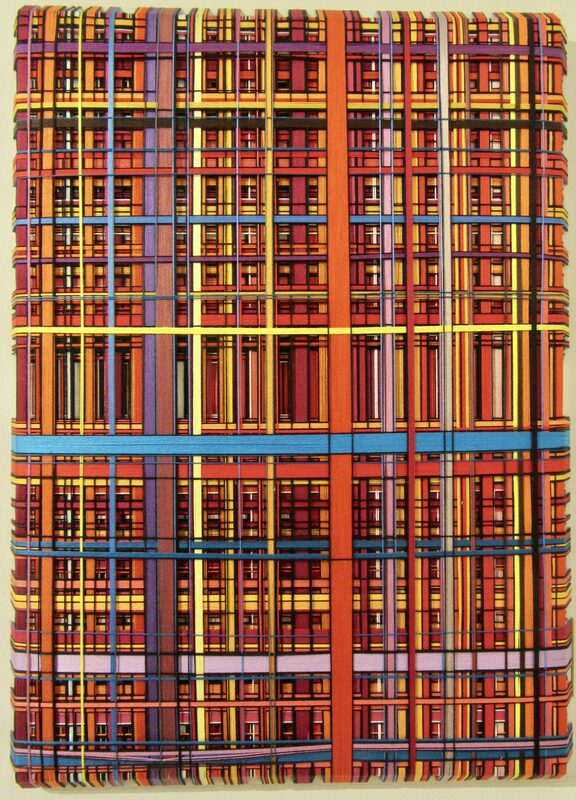 At every fall edition, Affordable Art Fair NYC releases a Limited Edition Print in collaboration with an artist commissioned by the fair. 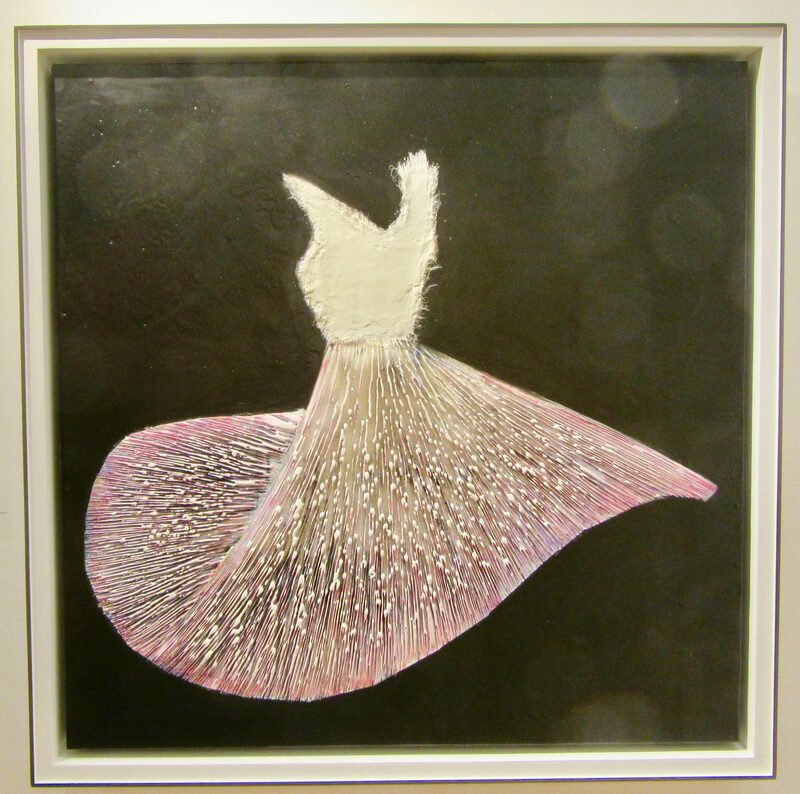 Established in 2013 with minimalist artist Chad Kouri, Affordable Art Fair has since worked with artists specializing in a variety of mediums, from large scale woodcuts to mixed media collage pieces, with each artwork incorporating the fair’s signature color, pink. 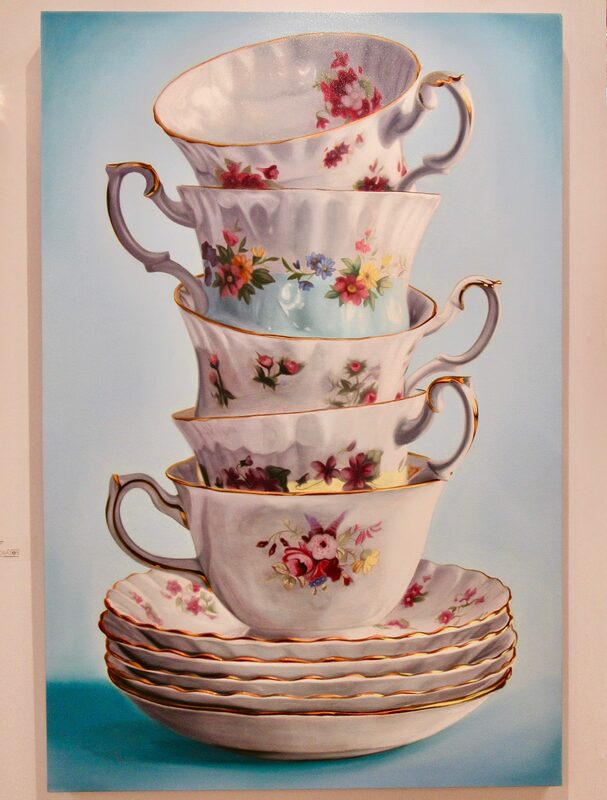 Limited to an edition size of 10, the prints are exhibited and available for sale at the fall fair. 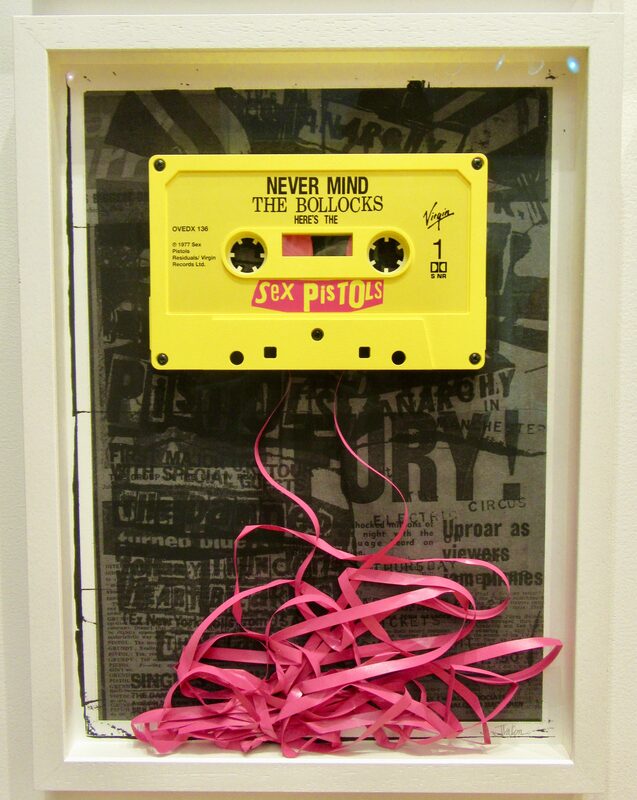 This season, the Limited Edition Print series featured the above artwork by London-based artist Adam Bridgland (of Jealous Gallery). 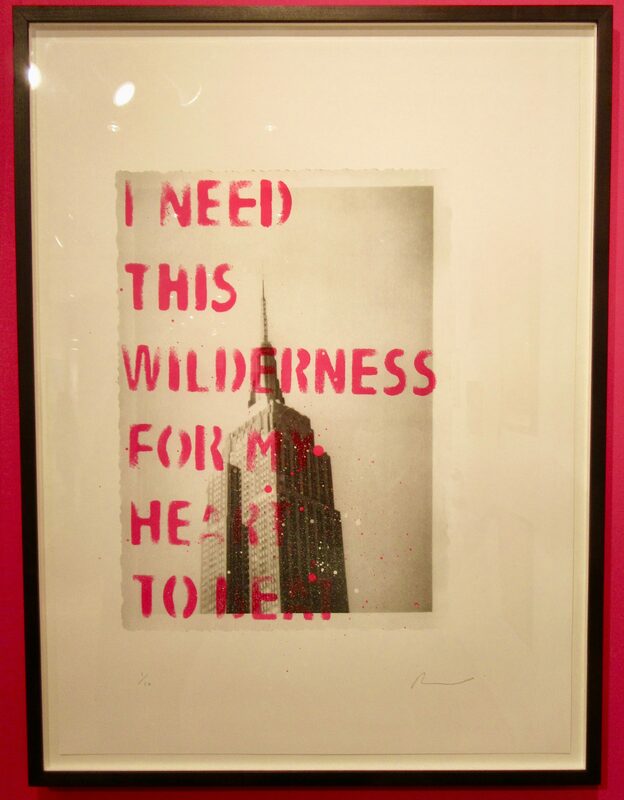 The screen print with spray paint overlays is a love letter to the urban wilderness that is New York City, and a thematic continuation of a sculptural work that Adam created earlier in 2018. 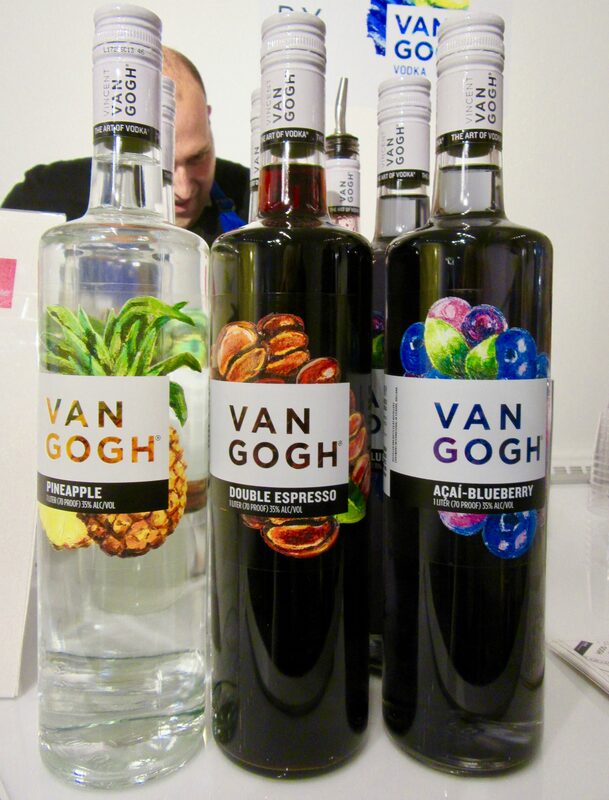 Before I get any further, I must give a shout out to deliciously smooth Van Gogh Vodka, who sponsored this year’s open bar! In case you didn’t already know, the bar is hidden way in the back on the second floor of the fair. I always make sure to hit that acton as soon as possible! Let’s kick off this recap with some art featuring lovely ladies! 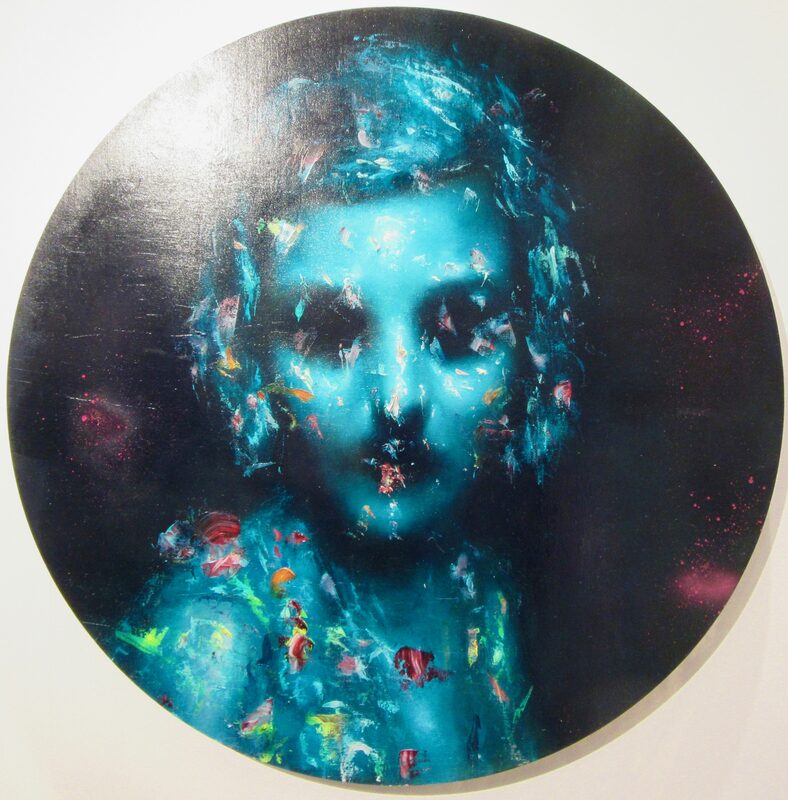 This abstract portrait is entitled Joan and it is by Jean-Luc Almond ($7500), who is represented by Art Unified Gallery of Venice, California. 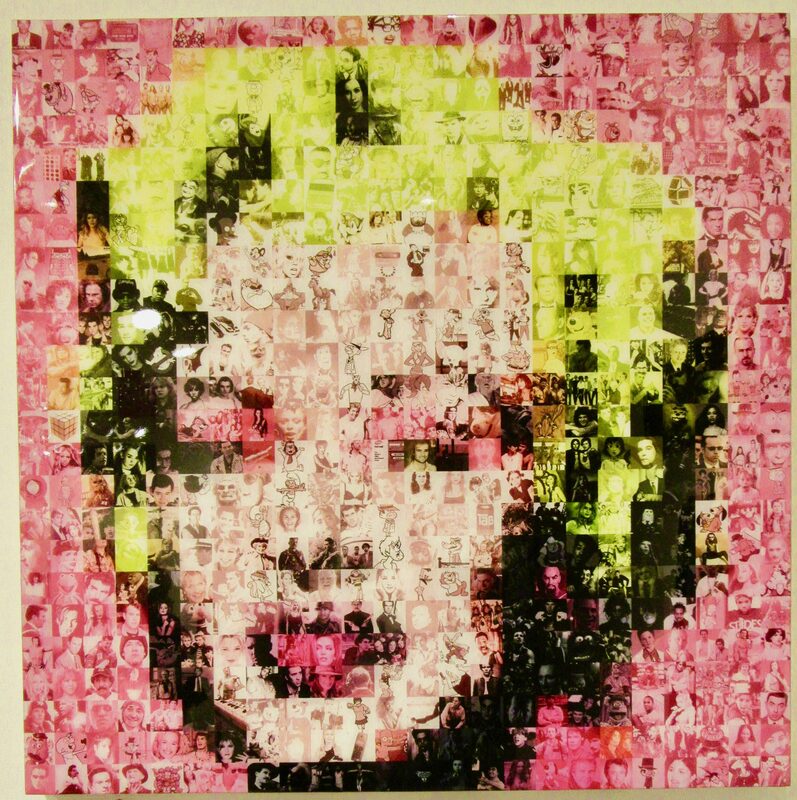 This collage of Marilyn Monroe’s face is created from hundreds of smaller images culled from vintage magazines. 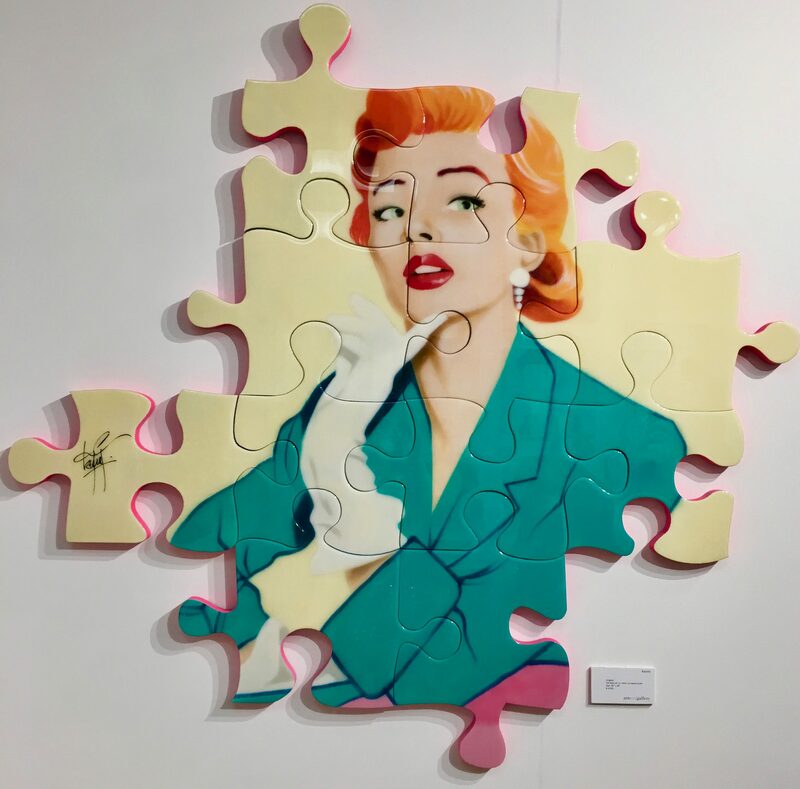 I love this pop art portrait that looks like the pieces of a puzzle. 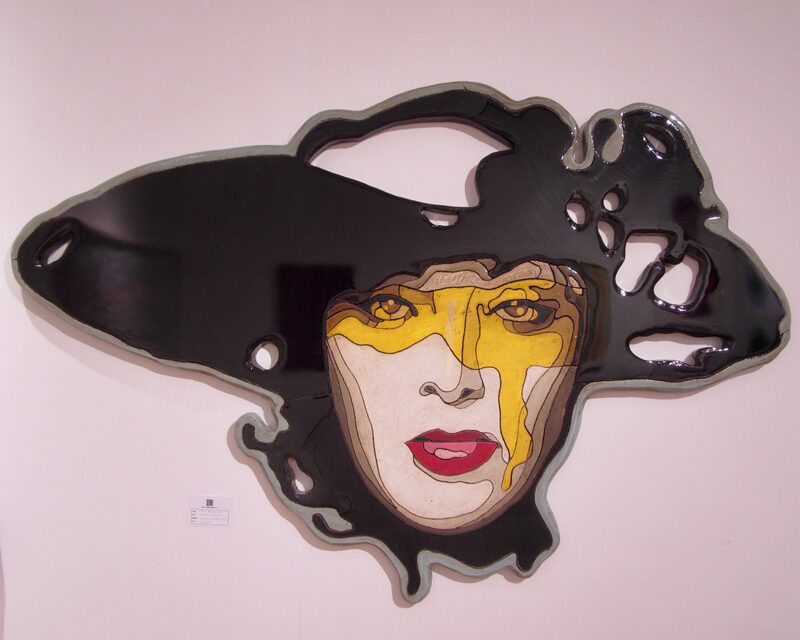 Keymi (slang for Mickey) is the pseudonym of French painter and graffiti artist Stephan Raymond. 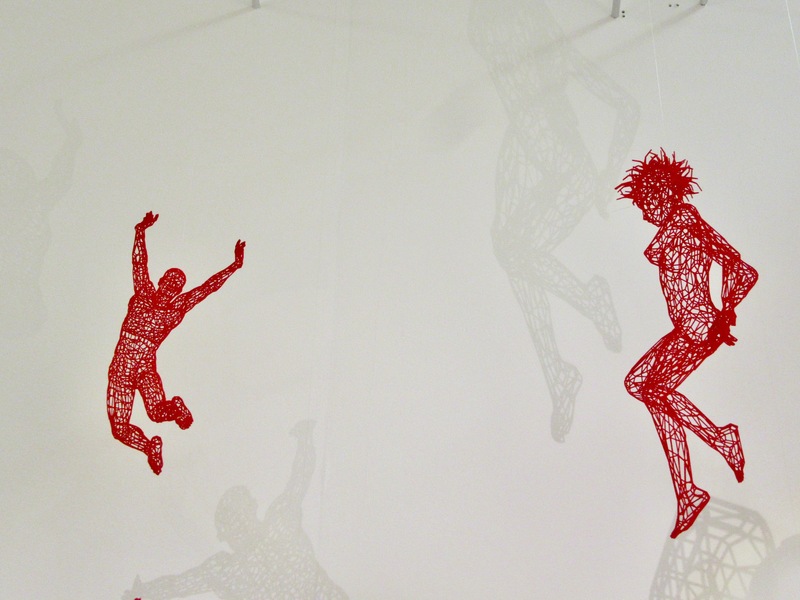 Sadly, I only managed to capture two of the Three Jumpers, a thread-based hanging sculpture by Moto Waganari ($9,300) at Connect Contemporary of Atlanta. 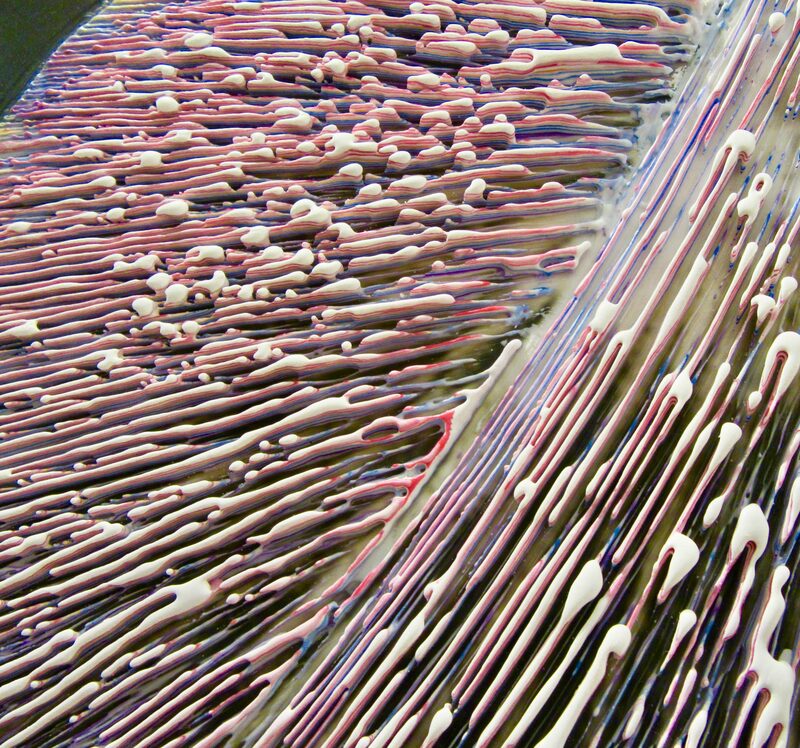 Check out the details on the skirt, below, which is made with paint and encaustic. Everyone loves flowers. 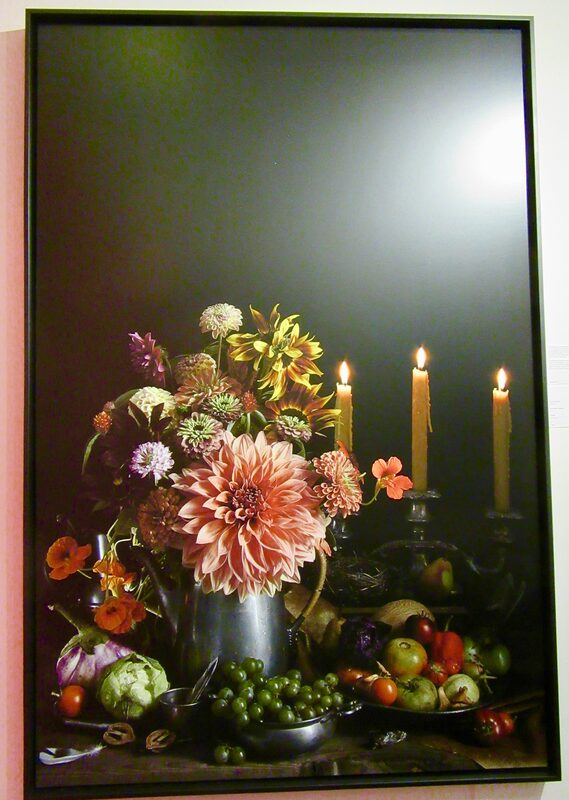 One of the first pieces that wowed me at the show was September Harvest by Kristin Sjaarda ($4250), which I found at Eye Buy Art, an online photography gallery located in Toronto. 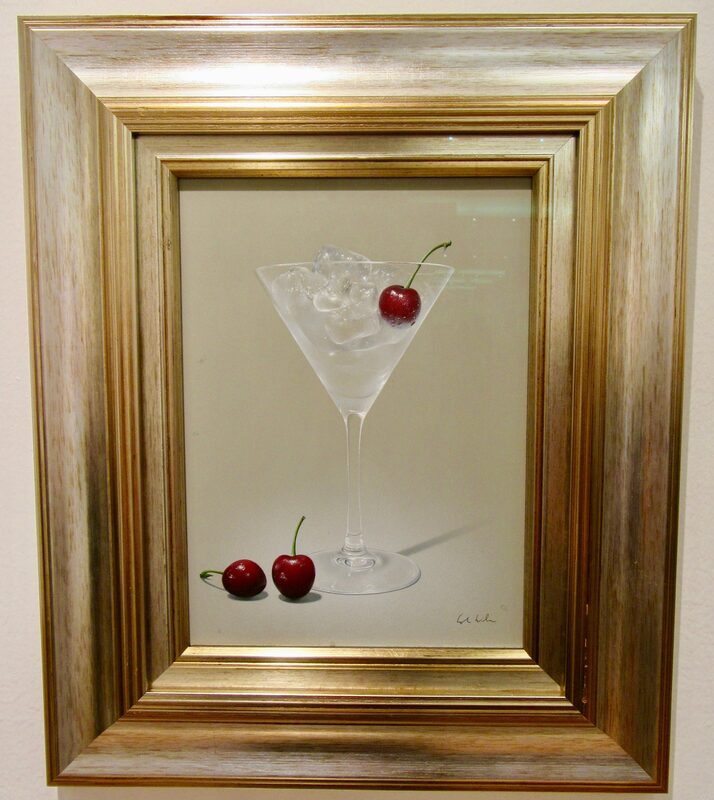 Kristin creates contemporary still-life photography influenced by the Dutch masters. She arranges and photographs flowers she picked from her own garden, emphasizing the diversity and beauty of the world around us. Kristin also only uses the natural light coming in from her kitchen window. 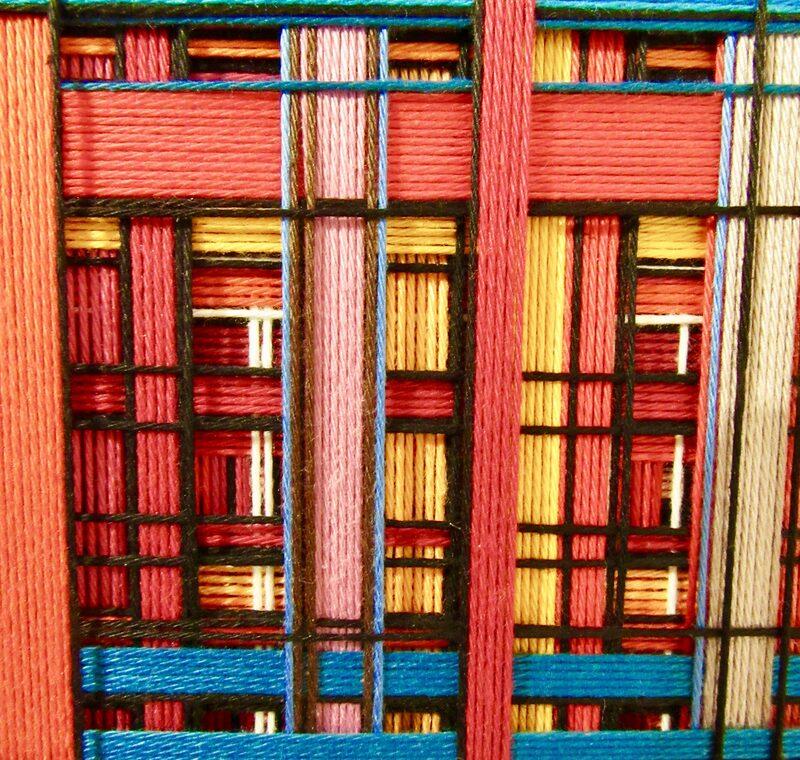 Her work is simply stunning. 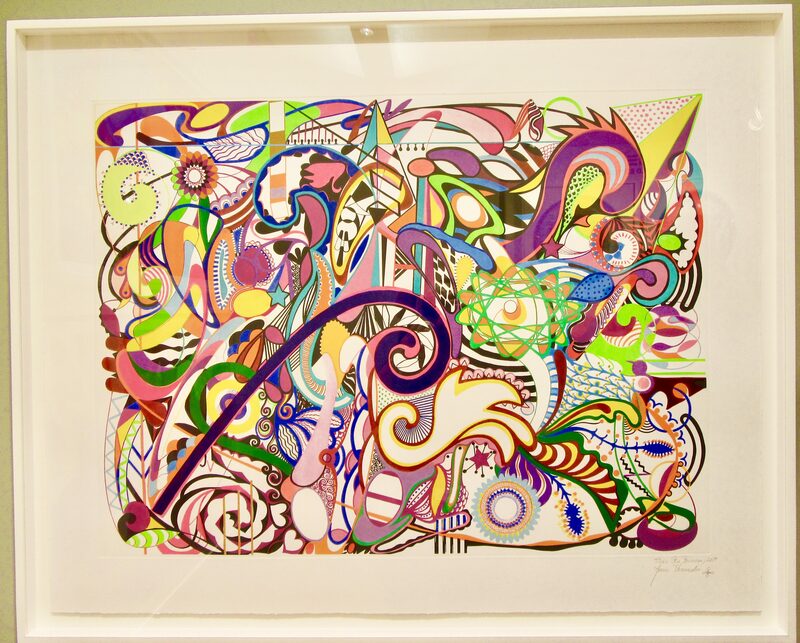 This colorful abstract entitled Ria Formosa, by artist Joana Vasconcelos, looks like a bouquet of flowers on acid. 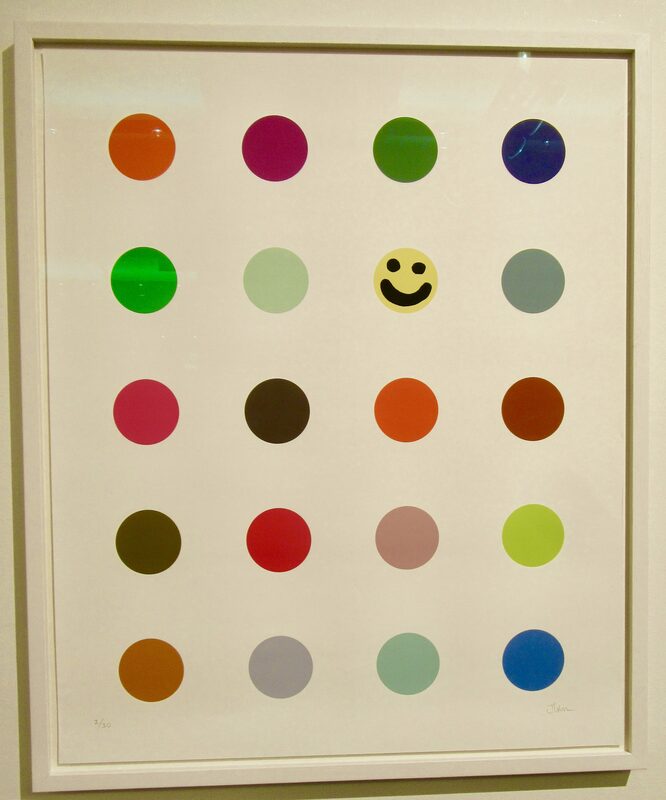 Available for $6500 at Manifold Editions, London, the print was created using a combination of etching and block printing methods. 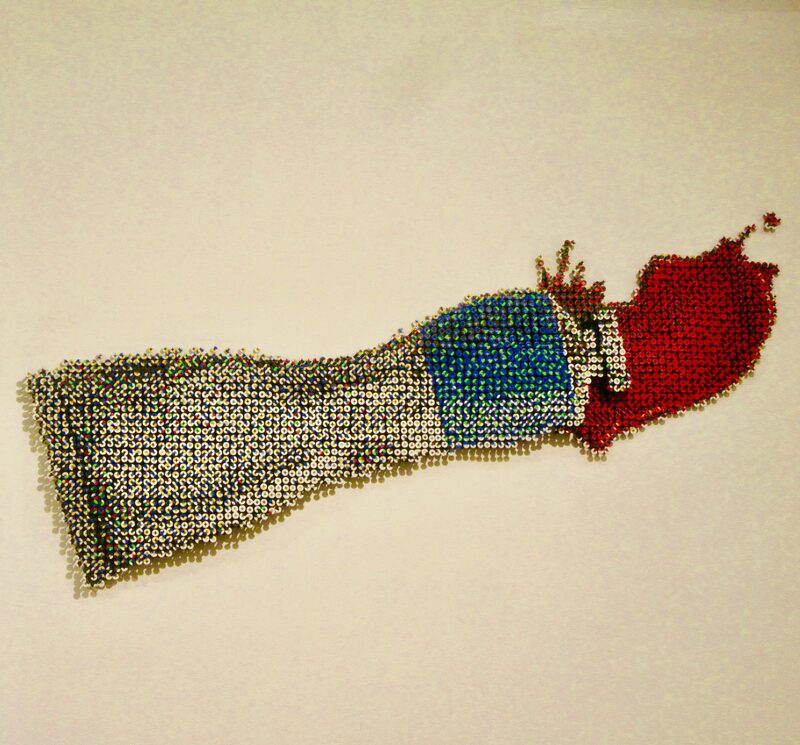 Mathijs Siemens is a Dutch artist who creates his unique artwork using thread. Check out the detail below! 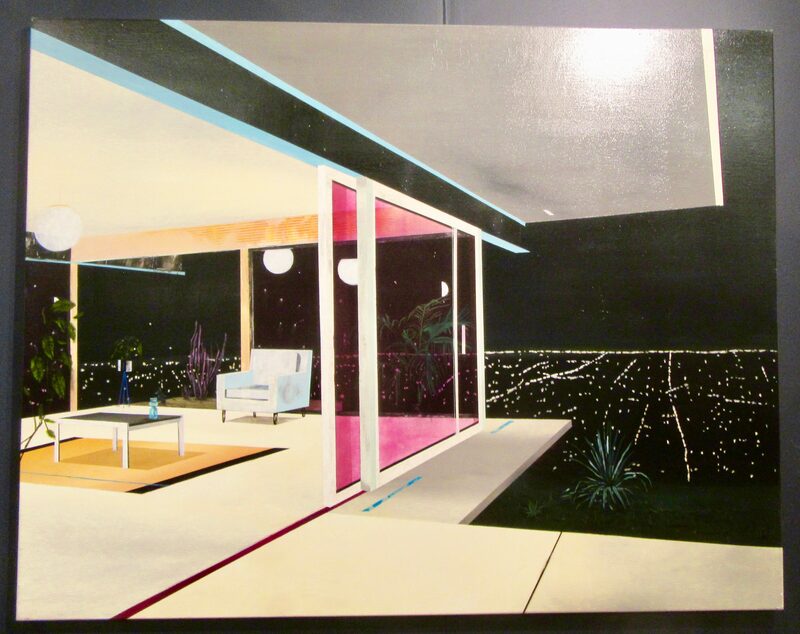 I love these two paintings (above and below) of mid-century homes! 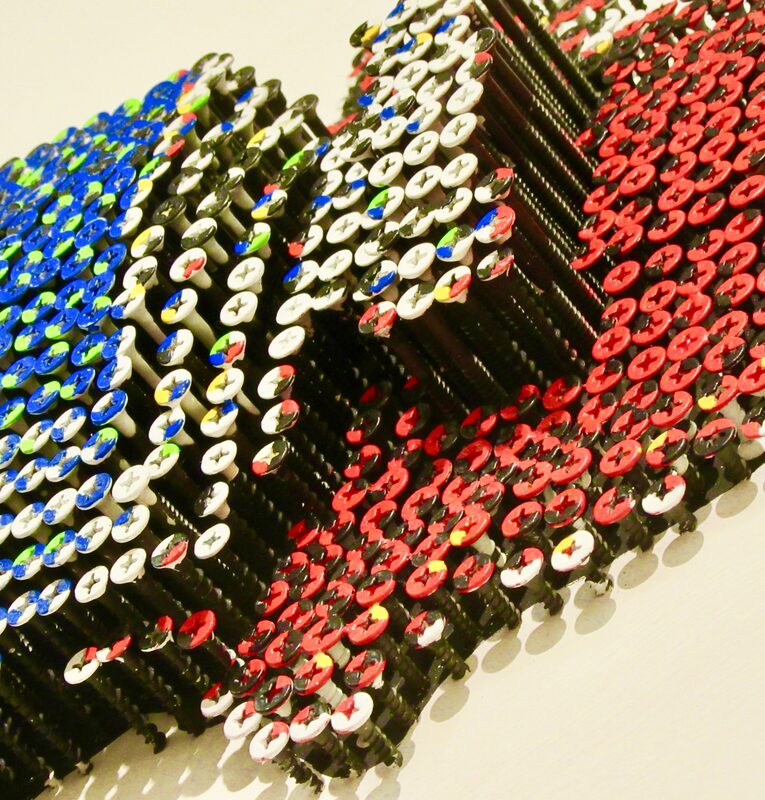 This relief wall sculpture of a tube of paint is made from screws! Check out the detail below! 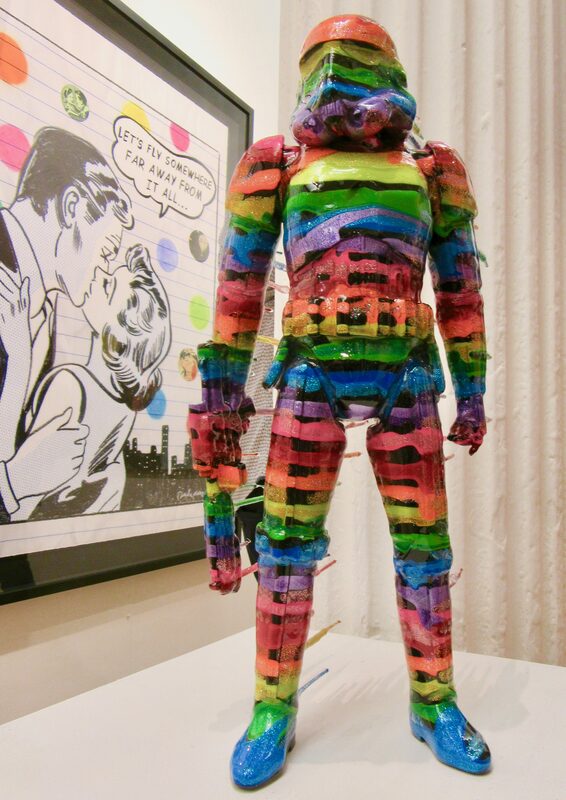 AAFNYC is definitely the place to find unusual sculptures. 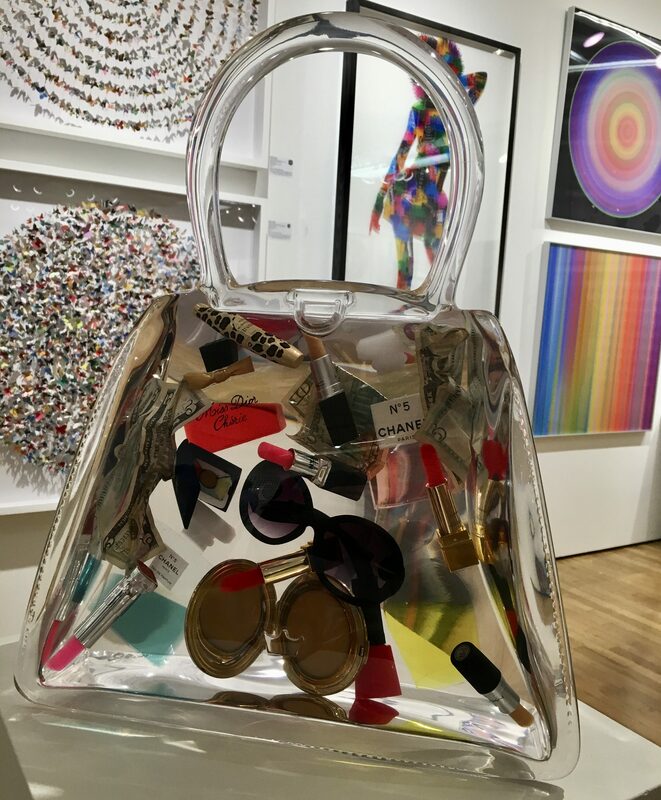 These Man Bag sculptures by Debra Franses-Bean are $10,000 from Tag Fine Arts. 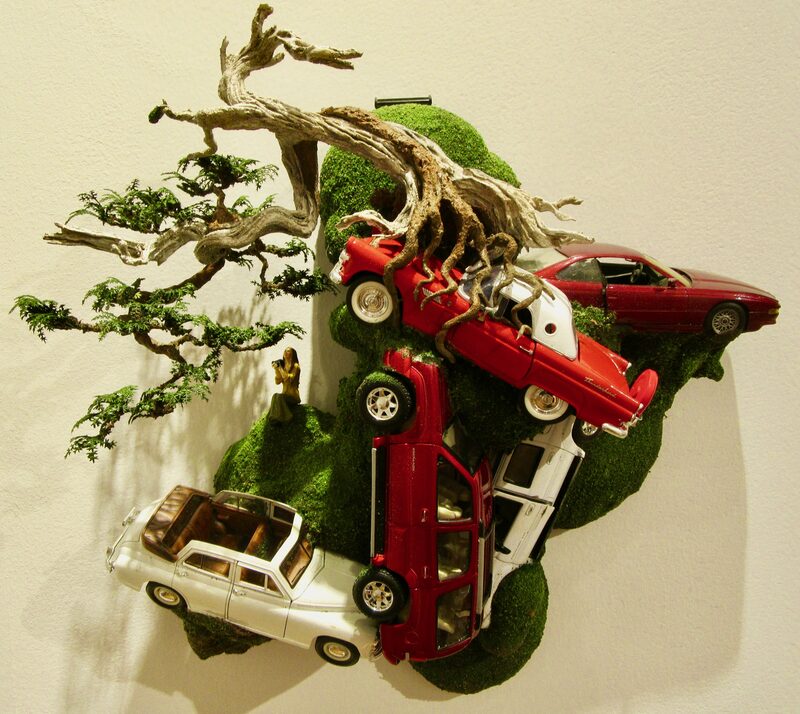 Each piece, made from cast resin and found objects, is unique. 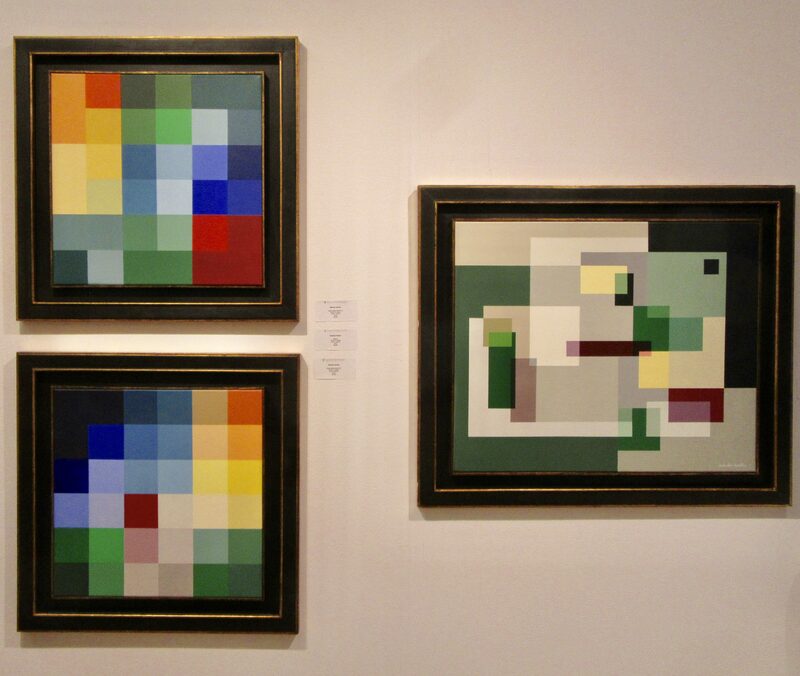 Music and musicians offer a huge source of inspiration for visual artists. 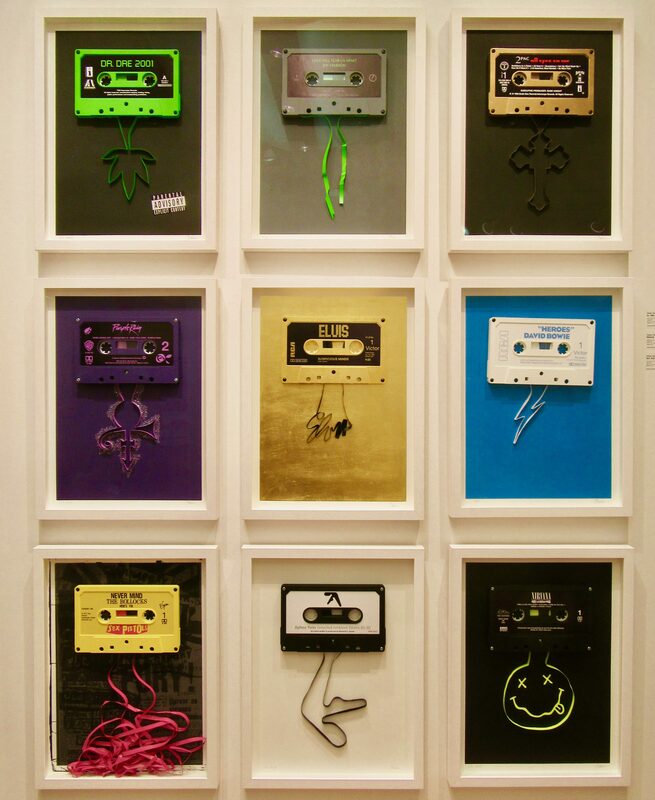 This series of framed cassette tapes by James Talon were spotted at the booth for Public House of Art. 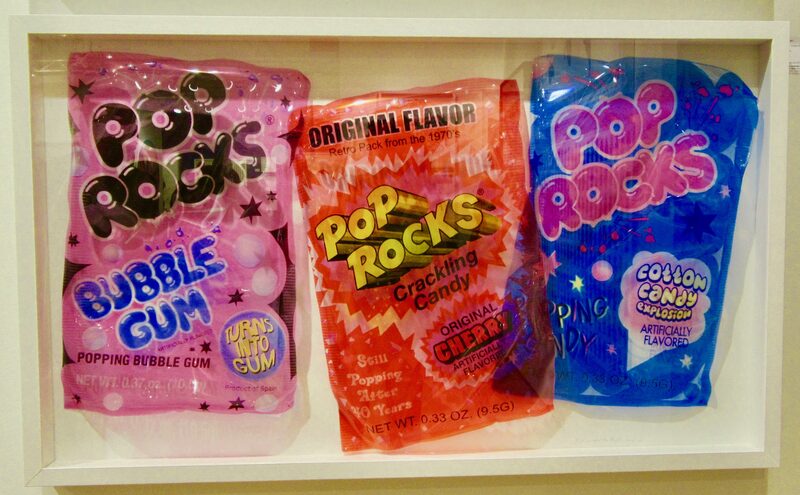 They sell for $2,000 each. 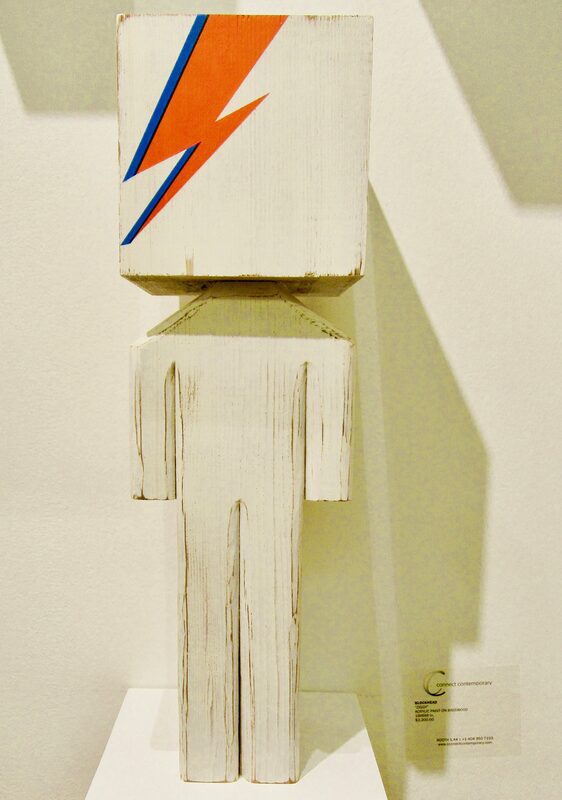 David Bowie continues to inspire us. 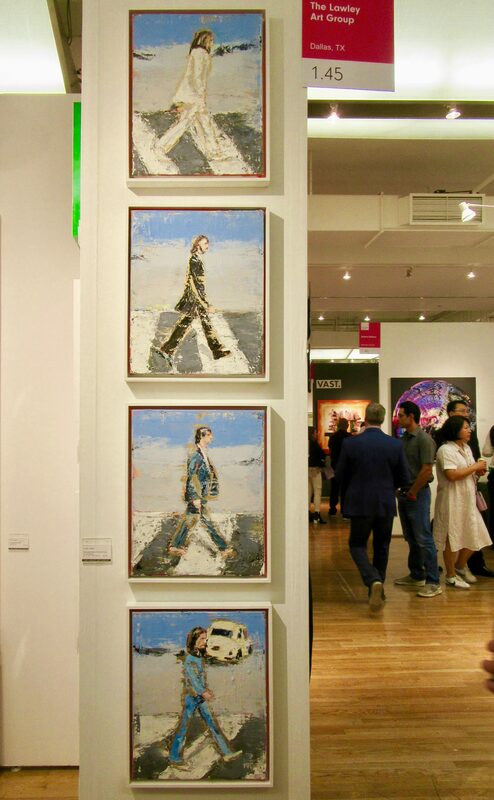 This impressionist study of the four Beatles walking across Abbey Road is a fun way to revisit an iconic scene. The Beatles are still massively popular, but none them have inspired more artwork than John Lennon. 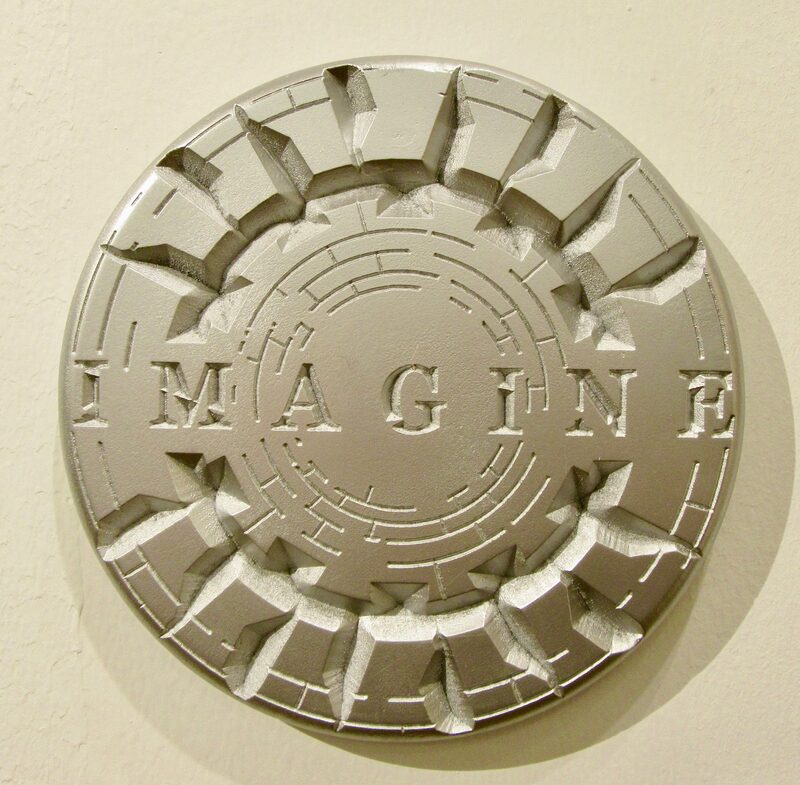 Imagine Thought Circle by Cary Henrie, made from acrylic on aluminum, is $295 from Lawley Art Group. 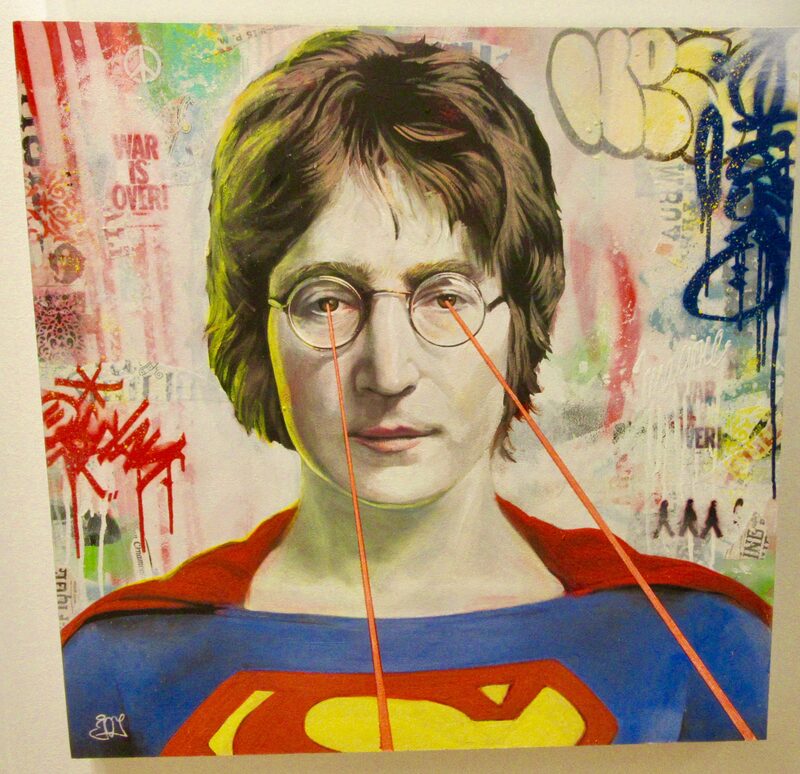 This one is pretty great: Lennon Superman By Srin Joy ($3800) at Connect Contemporary. 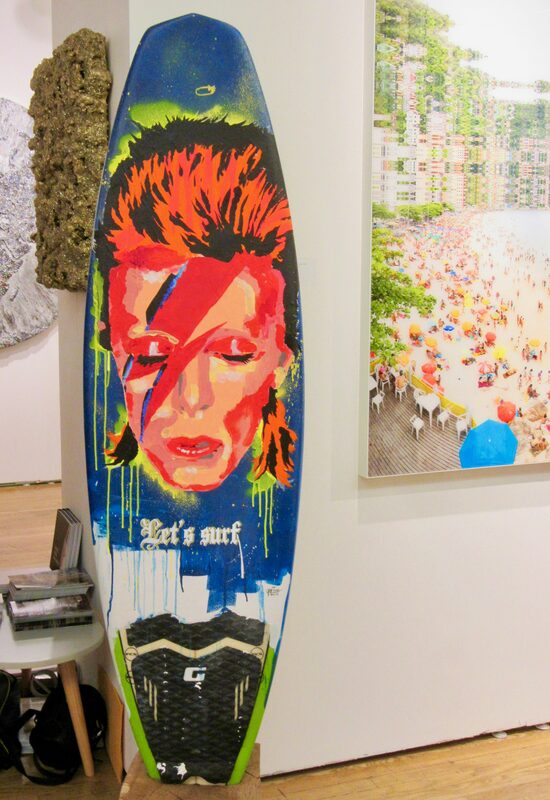 That’s it for the Fall edition of Affordable Art Fair NYC. 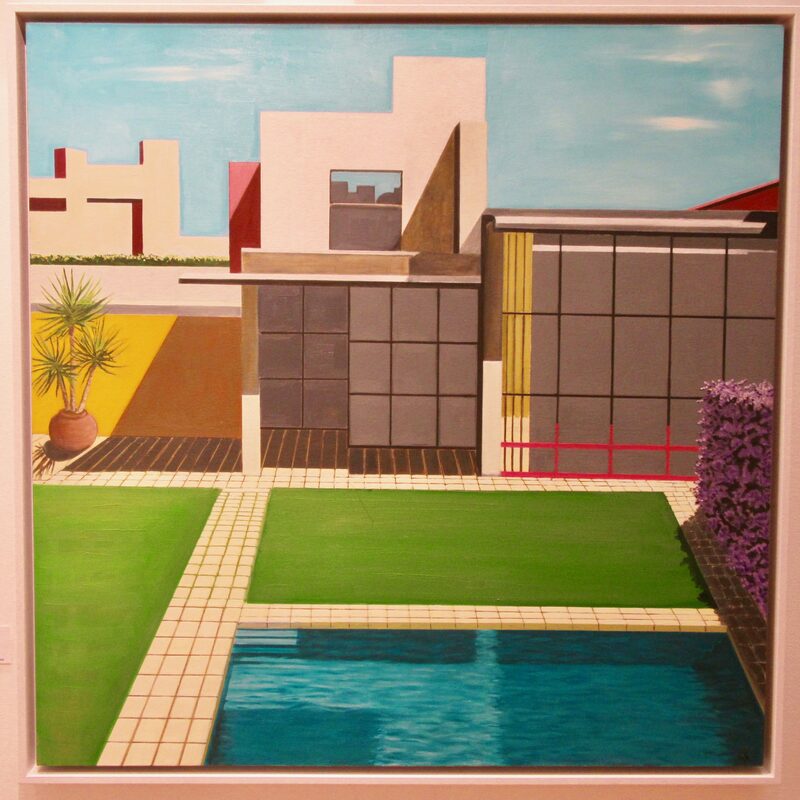 If you’re interested in any of the art you see here, please visit the galleries online! Cheers!